Great laser results depend on a great consultation. We need to know how you will respond to laser light so we can plan for safe, effective treatment. Loved bikini, ready for legs! To have laser you need to have a skin colour between fair and a cup of warm cocoa. Any darker and laser isn't the best for you. There are some medications that rule out laser: mostly the kind make you light sensitive. The best way to find out is to call us and ask. Can I have laser if I have blonde hair? Actually yes. You may not get the same results as people with darker hair, but you will know after a few treatments if it's for you. While laser alone won't remove blonde hair, our Syneron Candela equipment combines laser with a second type of energy called radio frequency, so we're not relying on colour alone like older lasers do. If you are having treatments elsewhere and finding them painful, come for a free test patch to see what we mean. Between 6 and 10. The most common is 6 for body, 8 for face, and some people need a few more. Every 4 weeks until you see some good clearance. Then you can space them out, usually at number 6 onwards you can go every 2-3 months. It's ideal to stick to the treatment plan your therapist suggests, but if your schedule or budget means you miss one, it's not the end of the world. Just book in again as soon as possible. Your results won't go backwards so long as you get back on track asap. Your skin might be slightly pink, and it might have little bumps around the hair follicles. This will be minor & will go away within a day or so. Most of our clients find it goes after a few hours. We can't laser ares that have active tan, fake or real. Keep direct sun off the area for a whole week afterwards. Use SPF daily on the area you're having treated. Why is sun a problem with Laser? Laser is light energy. Sun is also light energy. Putting the two together is like double sun. 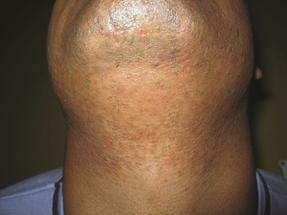 It can cause skin to age faster, burn easier, and respond strongly to laser. How do I look after my skin after laser hair removal? 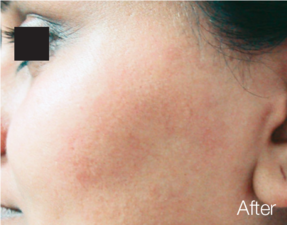 Your skin surface is still intact after laser, but the invisible immune layer made up of skin oil & sweat, has been changed. Help it out by putting on our Medi-Soothe Gel after each shower, for at least 3 days. If you feel like it, you can apply it every few hours to soothe the skin. What is in Medi-Soothe Gel? A combination of hydrators and anti-bacterials to protect skin while it rebalances: Symglucan, Symrelief, Vitamins A, E, F & H, Retinyl Palmitate, Tocopherol, Linoleum Acid, Biotin, Floraesters, Aloe Vera, Calendula. Definitely not your average aloe gel, and far superior to standard aloe vera that many people have at home. I love my Medi-Soothe gel. Can I use it on the kids? Yes, it's perfect for bites, scratches, sunburn and any skin irritation. It also makes an excellent hydrating face mask. Because pregnancy hormones can stimulate skin colour hormones, there's a teeny worst-case-scenario-chance that laser can leave behind dark marks in pregnant ladies. We have never seen it, but it's always best to be conservative with laser & pregnancy. Wait till you've finished breastfeeding before booking your next laser hair removal. What if I accidentally have laser hair removal because I didn't know I was pregnant? Don't worry. The 'don't have laser while pregnant' thing is a precaution only. It's more so that if something went wrong, you would never question yourself. There is literally no evidence that it can hurt your baby. The only thing we would say is that if you are actively trying to get pregnant, don't have any laser hair removal on your face as the skin there is more sensitive to colour change when pregnancy hormones are about. If you happen to have a laser hair removal treatment on your body, and then found out you were pregnant, we daresay you'd be glad to have got a treatment in before the hair goes wild with pregnancy! Will my results stay the same if I get pregnant? Like everything else during pregnancy - probably not! 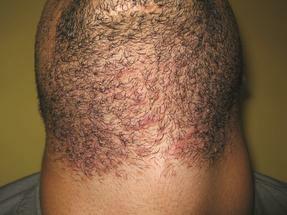 If you have already had a full course of laser hair removal, the results will probably stick. If you're half way through a course, some hair may come back. It would be unlikely to be all of though. This is one of the reasons why we believe in fairer pricing for laser - so you can afford touchups after each baby. Absolutely not. It also can't go any deeper in your body than 1600 nanometers. That's 1/1600th of a metre. Tiny. Lasers are chosen for their precision - to get to a specific, exact location and nowhere else. Laser has benefits and it can have risks. Laser is light energy being converted to heat energy in the skin. So the risks associated with laser are the same ones associated with heat. Naturally we make sure each person who has laser with us goes through a safety check. When performed by a trained expert, with modern equipment, absolutely. Thousands of laser treatments are performed in Melbourne every day. The risks in laser come when inexperienced operators match the wrong client with the wrong equipment, or aren't conservative enough in their delivery. Our team are skincare aficionados with years of experience. They hold diplomas in beauty therapy and are experienced in all beauty and laser treatments. Will I need a test patch? Yes, it's a must. It takes 5 minutes to ensure your future laser treatments are safe and effective. There's no charge for a test patch.